Certainly one of the most venerable life insurance companies in the US, Lafayette Life has established itself as one of the major players when it comes to providing a wide variety of life insurance policies. From individual to commercial insurance, Lafayette Life has offices in the District of Columbia and every state except Alaska and New York. For small to medium-sized companies, Lafayette Life offers products for pension plans as well as associated services. Because it belongs to the Western & Southern Financial Group, it has helped to strengthen the overall portfolio of Lafayette Life. There are many positive attributes that Lafayette Life offers its customers when it comes to the insurance and annuity services it provides. 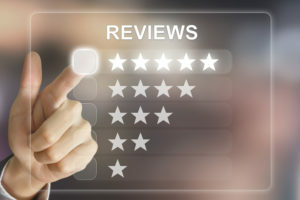 The reputation of the company over the years has been stellar thanks to its focus on customer service and providing customized products to individuals and businesses. It should be noted that the prestigious A.M. Best rating reflects more on the parent company, Western & Southern Financial Group of which Lafayette Life is a part. Having said that, the latest rating as of June 2009 is “A+” which is the second highest rating that AM Best offers. The rating reflects the overall services the company provides, its integrity, and attention to customers, which is of utmost importance. The company also boasts a superb Comdex Rating of 97 (out of 100), which is a composite of all ratings given it by the major ratings agencies. Certainly one of the most celebrated aspects of Lafayette Life is its customer service. The company has built its reputation over the past century through its ability to work with customers which include individuals, families, small and medium-size companies. By offering a relatively few number of products, Lafayette Life has managed to streamline their operations so that they can meet the needs of their customers quickly and efficiently. This is accomplished through branch or franchise offices in 48 of the 50 states as well as the District of Columbia. The combination of local representation and a national office means that customers can contact the company 24/7 with questions, claims, and accessing a number of their services. If there is one aspect that separates Lafayette Life in terms of what it offers to the general public, it is its attention to customer service that has helped it grow and prosper over the years. The Better Business Bureau has accredited Lafayette Life since November, 2012. This means that the company has met or exceeded the standards set by the BBB in terms of customer service and resolving complaints. To date, there have been very few complaints leveled at Lafayette Life through the Better Business Bureau and all of them have been resolved. The current rating the BBB give Lafayette Life is an A+, although that might change in the future depending on how individual complaints handled through the BBB are handled. Still, the A+ rating is the highest awarded by the BBB. Lafayette Life Insurance Company primarily offers life insurance policies to individuals, small and medium-sized businesses as well as annuity products. The products are all highly rated and can be customized to the needs of the customer. Before deciding on what type is right for you it is important to understand the differences between term life insurance vs whole life. Individuals seeking life insurance can find a plan that best suits their particular needs. Although the insurance is broken down into cash value life insurance and annuities, there is a considerable amount of leeway within those terms that provides customizable policies for the individual. For example, all life insurance policies are offered in packages with a pre-determined benefit level to meet the needs of the individual. This means that the life agent can tailor a policy that offers enough benefits to cover funeral expenses, pay off debts, and even provide a legacy for the children or grandchildren so they can go to college or help pay off other expenses. Life insurance comes in two primary forms: term life or permanent life insurance. This product offers life insurance coverage for a set period of time. The term length varies depending on your preference with many companies offering up to 30 year term life insurance. Convertible term life insurance is also available. The advantage of a conversion option is that the term policy can be converted to a permanent policy with no evidence of insurability. The company simply converts all or a portion of your death benefit to the new policy. You can keep the remaining existing term policy or cancel your life insurance. Guaranteed Protection: the policy lasts your entire life. Guaranteed Cash Value Accumulation: The policy builds tax deferred cash value. 10 Pay Whole Life provides permanent life insurance protection but with a limited payment plan of 10 years. After you have paid level premiums for 10 years the policy is paid up life insurance. The huge advantage of 10 Pay Whole Life is that you no longer have to make premium payments but your cash value and death benefit can continue to grow if you elect to use your dividends to purchase more paid up additional life insurance. Paid up additions: paid up additions allow the owner to purchase additional paid up life insurance, as well as allow dividends to purchase additional paid up life insurance. Accelerated Death Benefit: an accelerated death benefit rider offers life insurance with living benefits. With this rider you can access a portion of your death benefit if you are diagnosed with a certain medical illness, terminal illness, or chronic illness. Lafayette Life’s indexed universal life insurance (IUL) provides permanent coverage similar to whole life, but with the flexibility of universal life. Your premiums can be increased or decreased and you also have the option of increasing or lowering your death benefit. IULs are not direct investments in equities, rather they offer the benefit of earning interest based on a formula linked partly to the performance of the S&P 500 without actually investing in the index. With IULs you have the option of allocating funds to a fixed account or to am indexed account. The fixed account offers a guaranteed floor of 2%. The indexed account has a 0% guaranteed floor. With indexed universal life, you allocate funds to the different accounts. Funds allocated to indexed accounts are credited annually based on the segment date. Each anniversary of the segment date a crediting formula will be applied to your funds to determine how much interest will be credited to your policy. Each interest crediting method has a participation rate and cap rate. Lafayette’s indexed UL also offers life insurance with long term care rider, helping with costs associated with critical illness and long term care confinement in a nursing home. All four annuities offer advantages for customers who are looking to create an additional income stream for their retirement. Each policy can be tailored to the needs of the customer which in turn provides a wide range of options. It’s little wonder that thanks to the backing of the parent company that so many people have chosen Lafayette Life for both their insurance and annuity needs. Everything starts when you contact a Lafayette Life Insurance agent. They can provide you with options in terms of the type of life insurance that you need as well as the size of the annuity you want to earn. Naturally, you can visit their website to get quotes and see what conditions will need to be met so that you can get the type of insurance that you desire. The drawbacks of Lafayette Life are relatively few and far between considering the services that they offer. This means that most of the drawbacks really fall outside the scope of the company itself. So, if you are comparing life insurance companies, Lafayette Life will be quite favorable in that regard. While the population of Alaska is quite small and dispersed throughout the state, it does seem rather odd that Lafayette Life does not have a presence in the state of New York. There are tens of millions of potential customers that are not currently served by Lafayette Life. However, this is only a drawback if you live in either state. Although the company offers a wide variety of policies, you may find somewhat better rates with other life insurance companies depending on your particular situation. This is a drawback that is common with most companies that offer such policies since they tend to do better in one area compared to others. This means that you will need to do some comparison shopping before making your selection. Quite often, an insurance company is only as good as the agents they have in the field. This means that while most reps from Lafayette Life offer excellent services, you may wind up with one who may be less than perfect for your needs. There is little you can do other than go mostly through the website. The downsides to Lafayette Life are minimal and you should consider them as a company you can trust. However, keep in mind that other life insurance companies may provide more competitive products and rates in certain areas. Lafayette Life is an exceptional company that offers a wide range of life insurance and annuity products designed for individuals, small and medium-size companies. With over a century of service and being backed by a venerable parent company, you can trust that Lafayette Life will be around to ensure that your policies and annuities are paid in full when the need arises. For those who are looking for life insurance products for the first time, Lafayette Life is a great place to start. Just remember that Lafayette Life is just one company of many. And when it comes to finding the best policy out there for you-based on your unique need, health and lifestyle-it pays to have choices. That’s where we come in. TermLife2Go is an agency that represents dozens of the top companies in the U.S. Our goal is to align each client with the right company based on each company’s unique niche it tailors to. If you are considering Lafayette Life as your insurance company, give us a call today and let us see if it is the “best” choice for you, based on your unique needs. Thank you for reading our article, Lafayette Life Insurance Reviews. Please leave any questions or comments below.